for efficient, reliable and natural medicine. 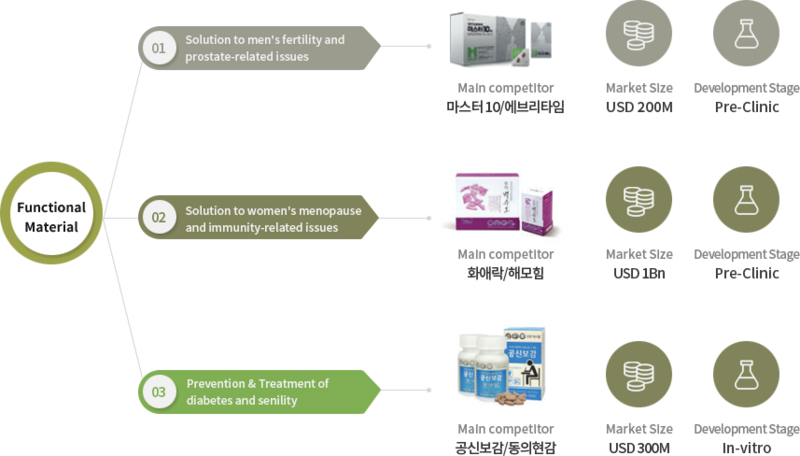 We are dedicated to creating and developing functional materials that bring solutions to the new issues posed by our developed world to the health of people in their 40s and over. These functional materials, which we acquired by technology transfer, will become one of our revenue streams by utilizing them in functional foods or in standard ingredients for new medicines.